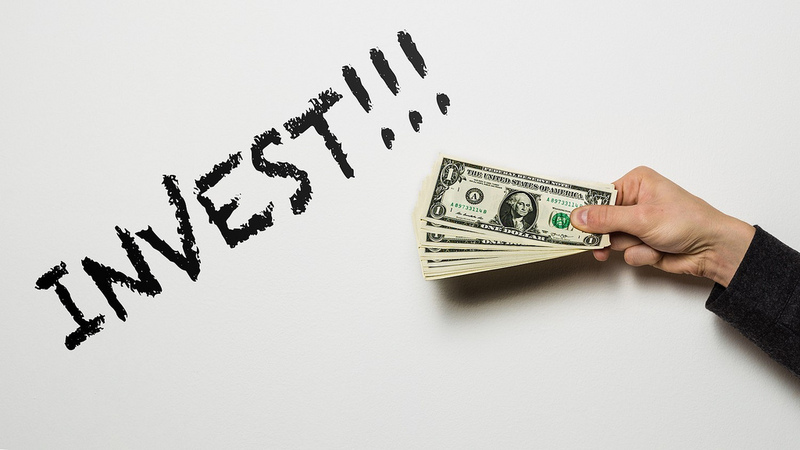 By definition, any investment of money carries a certain degree of risk, and in order for the investment process to be reliable and justifiable over a long period of time, the investment must be diversified - distributed among different instruments. Similarly to the saying from the IT world: investors are divided into those who use diversification and those who already use (as in my case). The first reason to use diversification is to reduce the likely loss of the investment portfolio. The more investment instruments it includes, the greater the chance that the profitability of the other instruments will cover the potential loss of one of them. Of course, this does not negate the need to rationally pick up assets in the portfolio, because if it is all cracking at the seams, then there will be nothing to compensate for the losses. 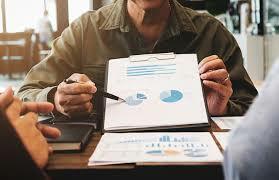 Of course, the profitability of the wide-diversified portfolio will be very average, which can be observed by analyzing the reports of experienced investors, but taking into account the substantial amounts that can be lost with a more risky strategy, we will find such a reasonable price for reliability. In the event that we want to actively manage our portfolio to generate increased profits, diversification will give us the right to take risks. 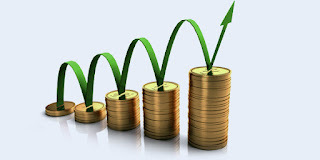 At the same time, investment instruments are distributed in certain proportions, where most of them are "conservative" with moderate risk and profitability, providing us with a safety cushion, we distribute the remaining 20-40% among "aggressive" instruments (young PAMM accounts, HYIPs, etc. .) in anticipation of super-profits. It is important to reallocate funds in a timely manner according to the initial strategy so that the ratio of reliable and risky instruments always remains constant. When creating a diversified portfolio, it is important to take into account all possible investment risks and remember that the distribution of funds within the same market (different PAMM accounts of one broker) at best will protect us only from trading risks, but in case of problems of the market itself (broker's bankruptcy, legal restrictions) we will lose everything. The growth of investment inevitably encourages the development of new markets and financial instruments, because even when limited to investing in one state (especially such as ours), we are not insured against crises, devaluation, and negative economic and political changes. When you look at the market indexes each day, at some point you will ask yourself why is the stock market down today? This question will lead you to look at the major news sources for an answer. Over time, they will give you numerous answers as to what caused the market to close lower. Today for example, the market is uneasy about the “debt-ceiling” in the United States and that Moody’s downgraded Greece’s credit rating. On other days, earnings reports might have come in lower than expected. 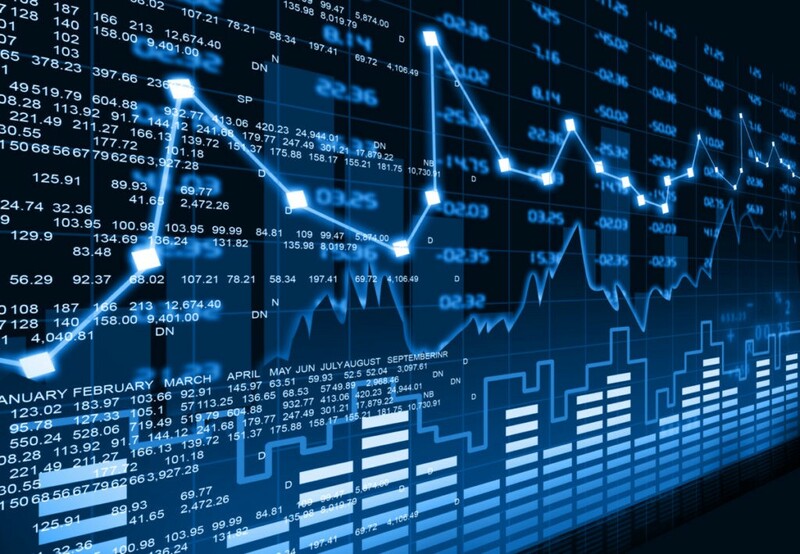 The truth is that while there will be truth in what they say because that was the general news for the day, the real reasons are really probably unclear and to be honest with you don’t really matter to you as you try and ascertain the general market direction each day. All you really care about is what the market indexes tell you happened — not what the “general opinion” is as to why it happened. You’ll first want to review each index every day. Those indexes are the S&P 500, the Dow Jones Industrial Average (DJIA), the New York Stock Exchange (NYSE) and the NASDAQ. You’ll want to look at each index and figure out whether it closed higher or lower than the previous day. After that, you’ll also want to see whether volume was higher or lower than the previous day. When you do this, you’ll discover one of the four following situations. A higher close on higher volume – This means that there were more shares of stock bought than sold and it pushed the price higher. This is known as an accumulation day. This is what you really want to see. A higher close on lower volume – This means that less shares of stock were sold and prices did increase but is more of a stalling action. While this will happen, it’s not really representative of a market under accumulation and not the ideal close you’d like to see. A lower close on higher volume – This means that more shares of stock were sold than bought and it pushed prices lower. This is known as a distribution day. To much distribution isn’t a positive sign for the overall market direction. A lower close on lower volume – This means that less shares of stock were sold than bought and prices fell. This is a neutral action and what you would expect to see when there is less than demand. When you look at the market each day, you don’t really care “why” the market went down. You only care about whether the market was under accumulation or distribution. You are concerned about this because you want to only invest in a market under accumulation or an uptrend and not under distribution or downtrend. As you learn to do this, you can just read the IBD Big Picture column and let them tell you what happened or you can do what I suggest and that is figure out what happened on your own and confirm it with what the IBD editors think. Over time, you’ll find that you can get a handle on what happened instead of why. S&P 500 – The index closed at lower at 1,337.43 or .56% lower than yesterday. Volume on the NYSE was 3.9 percent higher than the previous day. Since this is more than .2% decline on higher volume, this is a distribution day for the S%P 500. DJIA – The index closed lower at 12,592.80 or .70 percent lower than yesterday. The NYSE volume was higher as we have already said and so this also represents a distribution day on the Dow as well. NYSE – The index closed lower at 8,357,57 or .60 percent lower than yesterday. Volume was higher as discussed and so the NYSE also suffered a distribution day. NASDAQ – The index closed lower at 2,482.80 or .56 percent lower than yesterday. Volume on the NASDAQ also closed even from the day before. Because it is neither higher or lower. It is not a distribution day. We know from today’s market action that the S&P 500, the DJIA and NYSE all suffered distribution days while the NASDAQ did not. This information in and of itself doesn’t tell you specifically why the stock market was down today, but it does tell you a more critical piece of the puzzle and that is that it was under distribution. Enough distribution days and it will change the market outlook. Because three out of four stocks follow the trend, and because the IBD currently has several distribution days chocked up for the indexes already, I’m expecting the market outlook might change today to market uptrend under pressure. This would mean that I wouldn’t want to make any new stock purchases and watch the stocks I am in closely. Knowing what action to take with my stock market investing program is much more important than knowing why the stock market today went up or down. I wanted to spend today talking about why good stock market investing strategies go bad. I’ve got a friend who loves investing in the stock market. He spends hours reading about all this stock market investing strategy and that one. One day, he’s investing in options. The next he is selling an index short. The problem with this is that he never quite excels at any of his strategies because he’s too busy trying the next best thing and not working on one specific investment technique. I think this is a common problem and it’s also not helped by the things I talked about in my post about stock market investing for dummies. Rule number one of any investor should be this – become a master at one specific strategy. Taking this one particular step will drastically improve your results. You see there are all kinds of ways to make money, as well as lose it, in stocks. There’s no shortage of ideas. 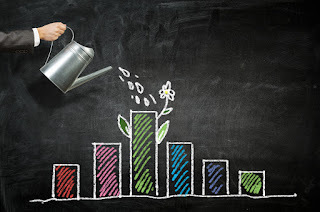 You can be a value investor or a growth investor. You could focus on penny stocks or on options. There’s always exchange traded funds and indexes or mutual funds. The key for you is that you must pick one and then spend all of your time working on mastering it. One of the reasons that flipping from strategy doesn’t work is because each requires a certain set of tools and experience. If you are new, then you can bet that you don’t no what tools you should use nor the experience to implement the strategy correctly. They all require a different learning curve. It’s this learning curve that could cost you a fortune over time both in losses or opportunity costs. Let’s face it, if a mutual fund manager can manage your money better than you, you should give it to him (or her). So if you are going to bother to spend time buying stocks, then take the time to become a master of your craft. Learn one strategy, start practicing it and then throw real cash at it. The problem with most individual investors is that they invest real cash, never practice and never really hone in on a winning strategy. Which investment philosophy should you choose? It probably doesn’t matter just as long as it has proven to work. Study the masters like Benjamin Graham, Warren Buffett, William O’Neil or Peter Lynch. Follow their system and make it your own. After the new edition of the IBD comes out each night, I start my stock screening. I get my stocks almost exclusively from the Stocks on the Move column every night. I just copy down the ticker symbols from the stocks above the line on both the NYSE and the NASDAQ. This should also tell you that I don’t look at any over the counter stocks – only NYSE and NASDAQ. I then take those stock symbols and put them in the My Stocks List of investors.com. I do this because I am looking for one particular type of stock — one that institutional investors are buying. This buying shows up in stocks that have large increases in price on heavy volume. Volume – I want to see at least 100,000 shares traded daily. You can find the volume number under the price and volume. Earnings Per Share % Change (Latest Quarter) – I want stocks over 25%. You can find this under the fundamentals tab. Earnings Per Share % Change (Prior Quarter) – I want stocks over 25%. Sales % Change (Latest Quarter) – Again stocks over 25%. I have recently lowered my stock screening criteria in a couple of areas so that I could look at more stocks on a daily basis. The first is in the Composite, EPS and RS ratings. I will now go to as low as 70. With the other SmartSelect ratings, I also now include stocks with a “C” rating. I did this so that I could look at more stocks on a daily basis. My thinking is that I might be able to catch a stock a little sooner than I could before. I also am looking for stocks with stellar earnings and sales as opposed to stellar ratings. Once I have the list compiled, I like to sort it by price percentage change to see the best stocks in the stock market today. I then move on to looking at particular buy points or set ups in my stock market investing strategy. Usually, I then post my watch list on my twitter feed which can be found in the sidebar. For a long time, I passed by The Neatest Little Guide To Stock Market Investing because I thought the title sounded hokey. So, as I would peruse the book store for new and exciting stock market investing strategies. You can’t find that in a hokey book like stock market investing for dummies type thing. No way. So for a long time, I overlooked Jason Kelly’s book in search of greater books. Finally, because I had pretty much checked every other stock market investing book out that was available at Borders and there was nothing else to do, I skimmed through it. I was pleasantly surprised. And here is what I learned. The first secret of the of the book is that he does give you some specific and easy to understand investment strategies. While he does go into good detail about the options you have as far as investment philosophy, he also delves into what you can do right now to start investing in the stock market. While I didn’t look at the previous edition, the 2010 version also shared with me the biggest secret I thought that I picked up on from his book and that is how to use a watch list. This is an area that I don’t find discussed much in many of the books. Sure they all give the topic of lip service, but nobody really walks you through the mechanics of how to set one up and how to use it. I only wish that he would have gone into greater detail about how to prune stocks from the list. He recommends that you keep a list of ten top notch stocks and when you find a better one, you get rid of the worst one on your list. That’s great in theory but when you have 20 different criteria, how do you decide what is exactly better if all your stocks meet certain thresholds. I wondered that and emailed him. His book said to do that if you needed additional information. But alas he doesn’t respond so I was left to my own methods and that was to let your list grow for all the stocks that meet your minimum standards. If your list gets to big, raise your minimum standards for earnings and sales or for some other category until your list shrinks. As soon as a stock falls below your minimum requirements then let it go. To me that was the biggest “secret” I learned but I guess I taught part of it to myself. Nonetheless, this stock market investing book might deserve a look for your library. I’ve put together what I think are the eight basics of stock market investing. From my research if you follow these steps, you’ll increase your chances of being a successful stock market investor. Investing in the stock market does require daily study and if you are to get good at it, you’ll need to work at it. There is no free lunch. I have already talked about a few of these things so some won’t come as a surprise. 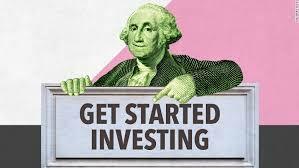 First, if you are a beginner, I recommend that you get a foundation of investing by reading The Neatest Little Guide to Stock Market Investing. That should give you a good handle on the basic terms you’ll need to know as you go along. The first thing you need to do is to pick a strategy. You can find a few of the masters in the book above. After that, if you don’t have a strategy, I suggest that you adopt the CANSLIM strategy as your own. You can read more about it in my article called The Only Stock Market Investing Book You Should Ever Read. It’s important that you pick and master one specific strategy. What’s important is that it is one of the stock market investing strategies of the masters, you are good to go. Remember you won’t learn anything if you don’t read specific techniques. So stock market investing for dummies material is not the way to go. The next thing you want to do is set up stock screens that bring the stocks you need to review to your attention. You do this by setting up stock screens to uncover stocks that might have strong earnings, strong price moves, surges in volume. It all depends on your strategy. I like to look for stocks that are up on higher volume. So I have a screen set up for that. Once you’ve done that, you need to move the stocks that appear on your screens over to your watch list. That way you can keep an eye on the performance of the stock. More importantly though, you want to make sure that you buy the stocks at the right time. That’s where picking entry points come in. Also called a “set up”, you’ll want to enter stocks at times that most likely predict they will go higher. For canslim, that’s when they break out of a base on strong volume. 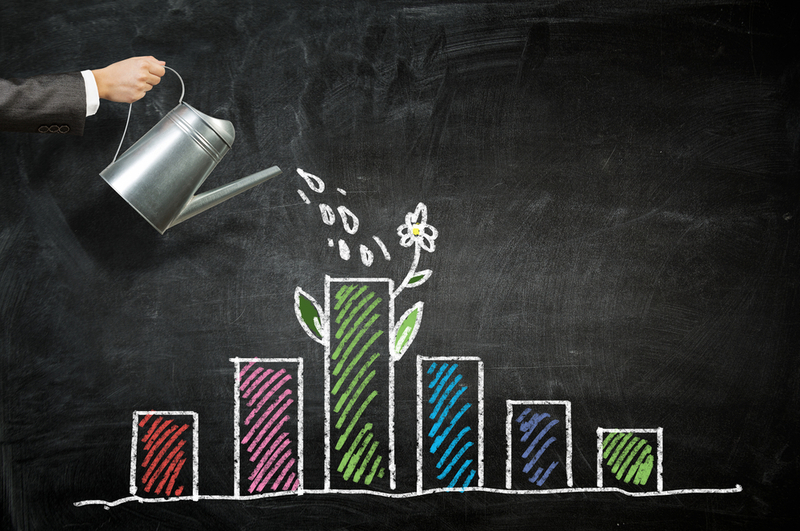 Whatever your strategy, learning to pick the proper buy point is key to a successful stock. Next you need to have an exit strategy. What will you do if the price goes down. What will you do if the stock goes up. Having price targets is important so you know when to take your gains. Having limits to how far you will ride a stock down in price will help you protect your investment capital. Setting stops is as important as setting profit targets. After that, you’ll want to use a stock simulator to work on your technique. The best professionals in the world practice in the gym or in simulators (think pilots). You should to. Review your practice trades and shoot for a specific batting average. Try and get 1 out of 3 right of your stock buys as winning stocks. Learn from your mistakes and keep shooting for a better batting average. Once you’ve reached your batting average, start using real cash and work on duplicating the results you had when you were practicing. The real stock market works different than a simulator. You’ll find out that emotion comes into play. You’ll need to get a handle on that. So there you have it. These are my eight stock market investing basics. Get to work and let me know how you do!